A “memoir and a manifesto” written with Todd Rose, the co-chair of the Harvard Graduate School Institute Connecting Mind, Brain and Education, who references his own experiences as a high school dropout to make the case for a much-needed learning revolution. Square Peg illuminates the struggles of millions of bright young children—and their frustrated parents and teachers—who are stuck in a one-size-fits-all school system that fails to approach the student as an individual. Rose shares his own incredible journey from troubled childhood to Harvard, seamlessly integrating cutting-edge research in neuroscience and psychology along with advances in the field of education, to ultimately provide a roadmap for parents and teachers of kids who are the casualties of America’s antiquated school system. 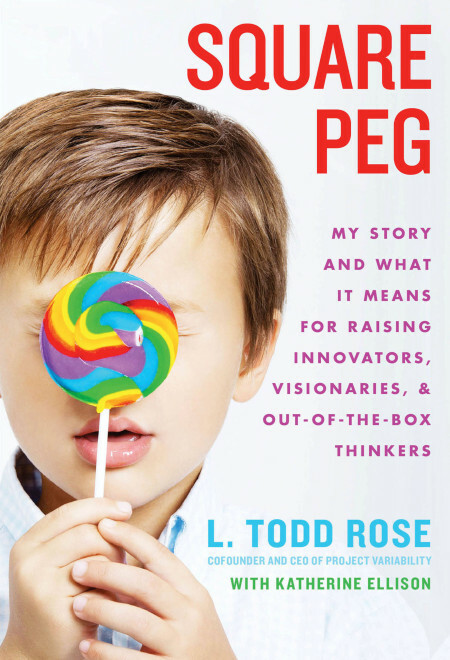 With a distinguished blend of humor, humility, and practical advice for nurturing children who are a poor fit in conventional schools, Square Peg is a game-changing manifesto that provides groundbreaking insight into how we can get the most out of all the students in our classrooms, and why today’s dropouts could be tomorrow’s innovators.